The Napa Valley is one of the most prestigious wine regions in the United States, and is at the top of most wine lover’s must-visit list. It is home to many top-quality producers, with outstanding wines that will rock your world, and with prices to match. Below you’ll find our recommendations for the best Napa Valley wineries to visit for wine tasting. We’ve been to the area many times and have explored so many of the top Napa wineries, but these are our favorites and where we feel you’ll have the best experience. Like this post? We’d love if you’d share the image on your Pinterest board. If you’re into wine even a little bit, you’ve likely heard of the prestigious and well-known Napa Valley Wine Region, not to be confused with Sonoma Valley, which lies to the west of Napa and maintains it’s own wine reputation. Napa is where you’ll find the expensive vineyards that produce equally expensive Cabernet Sauvignons, Zinfandels and Pinot Noirs of California. The soil is rich and fertile – producing an undeniable powerhouse of wine. The bottom line: It’s going to be expensive. But if you embrace the experience and accept it for what it is, you’ll have a fantastic time. It’s not unheard of for Napa wine tasting fees to be $20 or $30 per person for a few pours – in fact, $20+ is the norm. Hotels and restaurants also tend toward the luxury to ultra-luxury side. It’s Napa. It’s a lifestyle! ★ Plan ahead. Book your Napa Valley wine tour here. Flying into to Napa Valley is fairly easy and there are a lot of options. If you fly into Oakland or San Francisco, the Napa Valley is around an hour and a half drive. Or you can fly into the Sonoma Country Airport in Santa Rosa, CA, and Napa is only an hour drive from there (depending on traffic, of course). If you fly into Sonoma, you can hit up both wine regions for the price of one! -Highly recommended- Also, if you fly into Sonoma on Alaska Airlines, you’ll get the privilege of checking a box of wine on the return flight for free! If you’re driving, Napa is only 1.5 hours from San Francisco and it’s only 9 hours from Portland, Oregon! We don’t like having to drive around the wine region when we know we’ll be doing wine tasting, but a car is necessary to get around the area. If you’re not willing to sip and spit, you might want to consider hiring a driver for the day. We’ve found taxi drivers are very willing to negotiate a reasonable rate to drive you around all day. You could also go on an organized wine tour. We like to find good tours on Viator. It’s easy to search and they have all the best tours listed. As Napa is a luxury area, there are also a good number of luxury accommodations where you’ll be pampered and treated like royalty. The first thing you have to consider is where in the Napa Valley you’d like to be located. The valley runs almost 60 miles from Calistoga down to the town of Napa. If you know of a couple of wineries you’d like to visit, you could base your stay off that. Getting between wineries can be trying with traffic and distance taken into account, so you’ll want to make a good plan in advance. Since this area is so large, I’m going to arrange the information based on area. Calistoga is a small town located at the north end of the Napa Valley. It’s a small town, but it’s charming and packed with great wineries, eateries and cafes. On the more affordable side, there’s Best Western Plus Stevenson Manor within walking distance of downtown, or you can go all out with a luxury stay at the Calistoga Ranch, which is an Auberge Resort. There are more than 50 wineries in the Calistoga region, including the fully organic Dutch Henry Winery and the grandiose Castello di Amarosa, which is located a few miles to the south of Calistoga. It’s a 13th century castle with animals housed on the premises – it’s a unique experience and the wine is very good. There are a few wineries located right downtown on Lincoln Avenue, like Huge Bear Wine and Knights Bridge Winery. The fountain at the outdoor tasting area of Alpha Omega winery. You’ll find top wine producers and some of the most expensive wines in the region in and around St. Helena. This is where you find those ultra-rich Napa Cabernet Sauvignons that have made this growing region so popular. To go with the high wine prices, you’ll mostly find high-priced luxury hotels in St. Helena. It’s just what they do. Many of the wineries in St. Helena are architecturally stunning. Some of our favorites are Charles Krug, Robert Mondavi and Peju. All of these wineries are worth a visit. Expect tastings to be around $20-$40 a person for 3-4 pours of wine. You’re in the heart of the expensive real estate Napa has built its reputation on and it doesn’t come cheap. Between St. Helena and Yountville are a number of great wine producers with sprawling estates that are quite different than the ones we’ve listed so far. My favorite winery to visit on a warm summer day in Alpha Omega. They have a nice patio area overlooking the vines and with a beautiful fountain to look at. In the distance you can see the Napa Valley Wine Train. This is a good place to stop for lunch. You have the Oakville Grocery Co for picnic supplies – they have an incredible selection of sandwiches, cheeses and meats – then head over to Alpha Omega to enjoy a picnic with a cold bottle of their incredible Chardonnay that tastes just like a glass of crème brûlée (note: there’s a specific picnic area – food can’t be taken into the tasting room). Or stop by V. Sattui winery for a picnic. They have a deli where you can pick up lunch, and there are plenty of picnic tables outside. For dinner, Cindy’s Backstreet Kitchen and Brix Restaurant are our favorites. Make sure you spend some time walking through the charming little city of Yountville. If you stay here, you’ll be treated to a small-town feel, but with a big-city price tag. Hotels like Bardesonno and Hotel Yountville deliver consistently great experiences. The Napa Valley Lodge is also a great place to stay. You’ll find a different kind of tasting experience in Yountville. Tasting rooms line the main street and you can just pop in for a wine tasting of Napa Valley favorites. Cornerstone Cellars and Hill Family Estate are two of our favorites. Bouchon Bakery has awesome fresh pastries, but that’s not the only of Thomas Keller’s coveted restaurants. There’s, of course, the famous French Laundry. It’s located directly in the center of Yountville, alongside other world-class restaurants like Keller’s Ad Hoc and Bistro Jeanty. But don’t get near-sighted and miss Michael Chiarello’s Bottega for a plate of the best potato gnocchi I’ve ever eaten. Be prepared for culinary overload in Yountville. There are more wineries and restaurants in a few short blocks than you could hope to get through in one trip. Located at the southern end of the Napa Valley is the city of Napa. It’s the closest to the airports and you might get the impression that it’s not a spectacular because it’s not in the heart of Napa, but the city has had a revival of sorts that has ushered in luxury accommodations like The Meritage Resort & Spa. You’ll find a great winery located right behind the Meritage Resort & Spa, called Trinitas Cellars, as well as the grand terraces and gardens of Domaine Carneros, nearby. Napa boasts top restaurants like La Toque, plus one of our favorite places to browse delicious-looking food items, Oxbow Market. The market is home to half a dozen restaurants and a plethora of specialty food and wine retailers, including San Francisco’s popular Hog Island Oyster Company, the d Ca’ Momi Winery and Fatted Calf charcuterie. As you can see, there are so many Napa Valley wineries and it’s incredibly hard to make it to even a small portion of the best Napa Valley Wineries in one visit. You know what that means! You’re going to have to come back again. It’s a tough world, I know. Tell us about your favorite things to do and see, taste and eat in the Napa Valley! 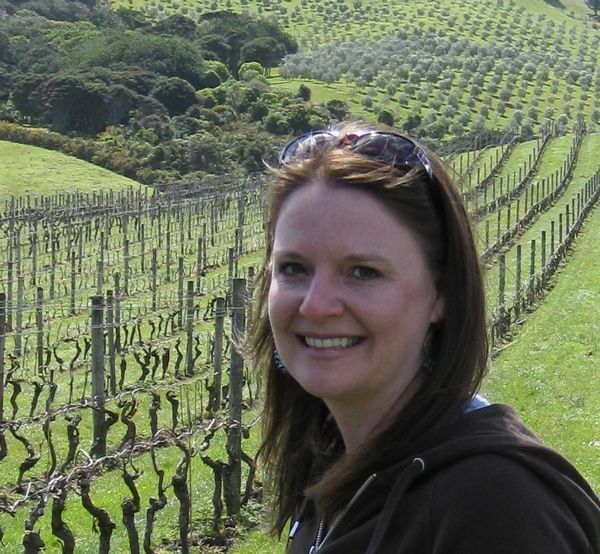 This entry was posted in Discover Wine and tagged California, Napa, wine. I’m more of a single malt Scotch gal myself, and my husband doesn’t drink. So even though we’ve driven through Napa a few times, we’ve never stopped to enjoy the wine. It is still very beautiful though. 50 wineries and that’s just one of the towns? I must admit I would love to stay at Meritage Resort & Spa, did you get the chance or is that for celebs only?! Gemma, it’s an expensive place, but certainly not for celebs only. We usually stay further north though, so we can make our way south throughout the weekend, so we’ve never stayed there, we’ve just enjoyed their beautiful grounds. I love the Napa Valley region, especially St. Helena. It’s not exactly a quick weekend getaway for us but we try to visit as often as we can. Some of my favorite wines in the world come from Napa. My all-time favorite is not as far north though. The Justin Winery in Paso Robles is fantastic. Have you been? Hi Lesley. Yes, we’ve been to Justin Winery and many in the Paso area. I really like their wines too. We’ve got a post or two on here about the Paso wineries. One of my favorites there is Opollo. We’d love to get to that area more often too, but it’s a more expensive flight than Sonoma/Napa. I went to Napa last year but sadly I was pregnant at the time (not sad to be pregnant I must add, but sad that I couldn’t drink vast quantities of amazing wine!). Fortunately the area is so beautiful that I could still enjoy our trip. I’d love to go back though, and thanks to your post I’ve got some new wineries to try! I’ve always wanted to visit Napa Valley! Visiting the wineries and having an afternoon picnic lunch sounds too perfect. Such an ideal location for a honeymoon or anniversary. Enjoying the scenery with good wine & food is the epitome of romance! Thank you for all the recommendations, I’ll be sure to keep this as a reference if (hopefully!) I visit Napa Valley in the future. Heather – It’s definitely an ideal location for a honeymoon or anniversary. So many romantic hotels, restaurants and wineries. Napa Valley sounds like great place to relax with glass of wine. I come from wine region myself and I think it’s super cool to discover new region via food and drinks! When I go to California, I will pay a visit! I’ve heard so much about Napa and it’s a short flight from Vancouver! I would love to get out here with Hubby for a few days of relaxation! This is on my bucket list! I recently toured wineries in Georgia. Would love to compare them to Napa!